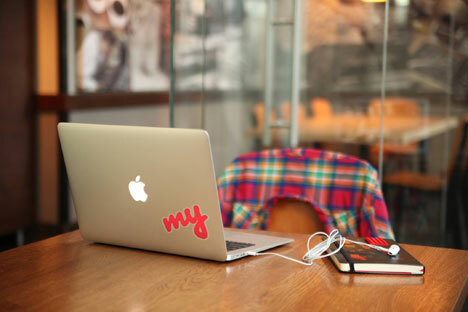 Russian IT giant Mail.Ru Group breaks into the international market with a new applications program called My.com. American email service providers Google, Microsoft, and Yahoo will soon face competition from Russia, as Mail.Ru Group sets its sights on cracking the international market. The new service, My.com, will offer several applications for communication and entertainment. This spinoff of mail.ru will be headquartered in Silicon Valley, where they are preparing to launch three products: myMail, myChat and myGames. The first product is a mail application with an intuitive interface for iOS and Android to support all popular services, including Gmail, Yahoo, and others services The application also gives the user the flexibility to customize push-notifications for those email services that are not supported by the technology. The second product - myChat - is a mobile instant messenger that offers free messaging, voice, and video calls. The third is myGames, which is a collection of free games. One of the games - Jungle Heat - ranks among the top 25 Android bestsellers. The company's press service stressed that each product has its own set of advantages. For example, myMail allows users to connect all of their email accounts to a single application. It offers a wide range of customization for personal notifications and an intuitive interface, the company’s press service said. The company expects that the first people to sign up for my.com will be active smartphone users. However, the company has been cautious in making projections and will not name their target audience this year. "My.com is brand new, and so it is a particularly interesting project for us. Much of it is being done for the first time, experimentally, so we are not ready to make the results public," stressed the press service of Mail.Ru Group. Also, it is unclear how much income the advertising will bring in because, according to company representatives, none of the applications have any advertising yet. Russian experts said breaking into foreign markets under a different brand was a wise move for the Mail.Ru Group. "Of course, the name mail.ru would have had little chance of attracting a foreign audience. Besides, my.com is shorter, and it may turn out to be a winner," said Anton Nosik, a Russian IT manager known for his innovation in the Russian Internet startup industry. According to him, the strength of mail.ru is the company’s 15 years of experience, however its weakness is global competitors such as Gmail, Microsoft, and Yahoo. "The Russian site might be able to grab a stake in the market through games. This is Mail.Ru Group's strength. So, at the beginning, my.com might gain a very large audience on the games market. No company has tried it this way, so it should be interesting," he said. Mail.ru is the most popular Russian email service and commands more than 70 percent of the market. Their market share has remained stable, but enticing users away from other sites is not easy. The competitors are working hard to ensure customer loyalty. In addition, a slowdown in the number of new Internet users has forced the company to look for new opportunities for financial growth. "Our developers are highly qualified in mathematics, physics, and engineering, and have kept our company in first place in the Russian Internet industry. Now we will take advantage of the experience and skills we have acquired to enter the global market," said Dmitry Grishin, the co-founder and CEO of Mail.Ru Group. However, this does not mean that their push onto the international market via the United States will be straightforward or easy, an analyst with Zurich Capital Management said. The market is already divided between giants like Google and Yahoo, who are fighting not only for the status quo, but also to expand their shares. But who's to say they have no chance to succeed?